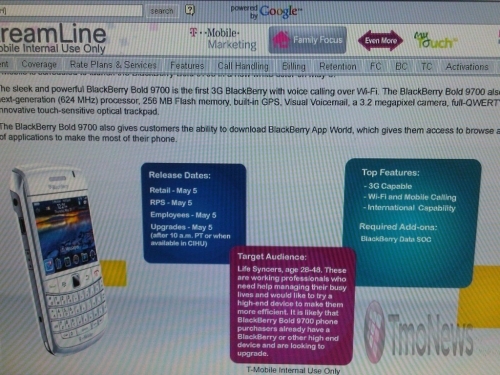 White BlackBerry Bold headed to T-Mobile USA | BlackBerry Blast! We've seen the White BlackBerry Bold heading over to Europe, but now it looks like it's also coming to the US. T-Mobile's internal systems lists the device in all its T-Mobile branding, with an availability date of May 5. There's no word on price but it should be the same price as the other Bold at T-Mobile, $129.99.